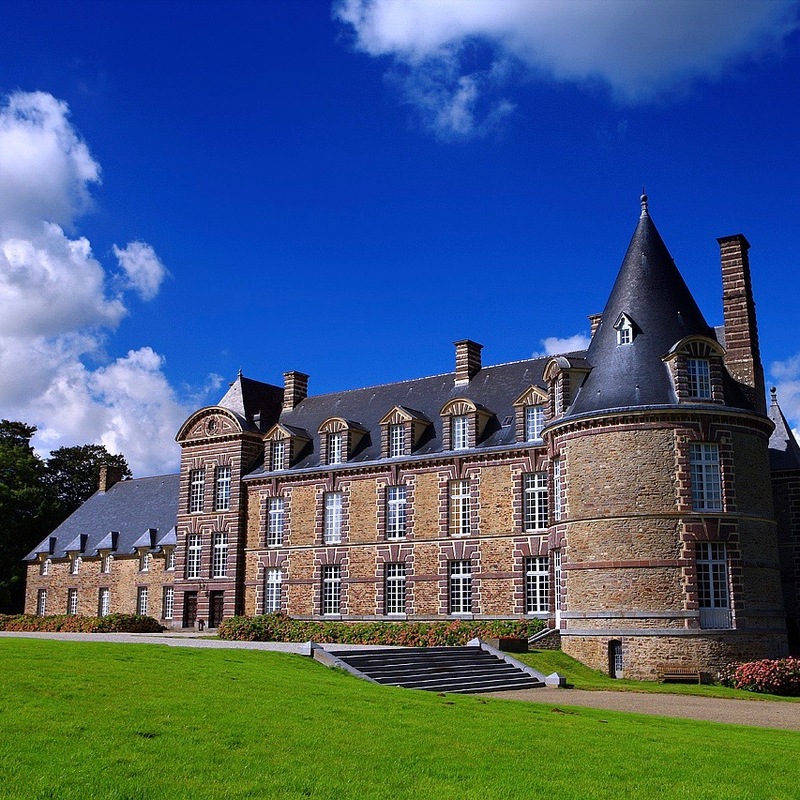 It’s no exaggeration to say that Château de Canisy is like something out of a fairy tale. Set on seven-hundred rolling acres of Norman countryside, the nearly thousand-year-old family estate — complete with medieval towers and parapets, vast lawns and swan lakes, forest and farmland and even a moat to keep unwelcome guests at bay — is home to just sixteen guest rooms. It’s a family operation, a B&B of sorts — the sort of B&B, that is, that you get when the mom and pop behind the place are a gracious comte and comtesse whose earnest wish is to give you a taste of unabashed, aristocratic leisure. 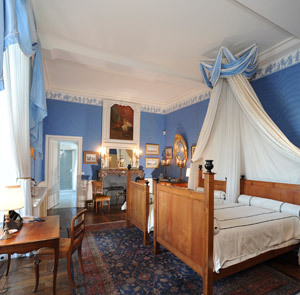 Each antique-appointed room is unique, and each is dripping with all-the-frills period detail. Take the Chambre Faudoas, named after an 18th-century friend of the family; it’s decorated in pink and cream Pierre Frey fabric to match the antique wallpaper, with an oversized copper bathtub made in the renowned copper workshops of Villedieu les Poêles. The Louis XVI room, meanwhile, is reached by a 16th-century marble staircase that even the king and his equally tough-to-please wife likely found adequately grand. (They weren’t so kind as to fill out a comment card after their visit to the château, so we can’t be sure.) 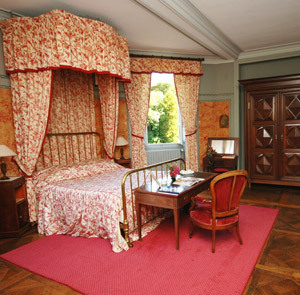 The room’s high ceilings, its pair of adjoined Louis XVI-period beds, and its paintings and furniture of the same period are unsurprisingly lavish. 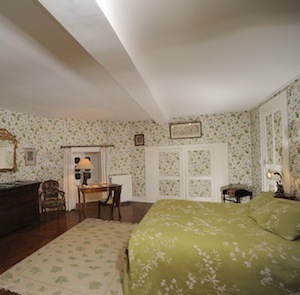 It says something that the Louis XVI room lands in the middle range of accommodations. 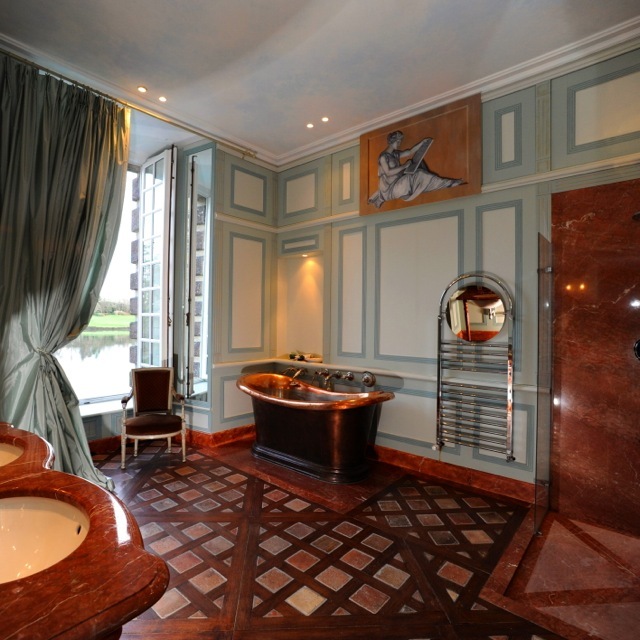 At the top end of the scale, the Chambre Empire stands out for its reproduction of a bathroom from the mansion of Napoleon Bonaparte’s wife, with all the marble and mirrors and columns a conqueror’s paramour could want. Outside, there’s plenty to do right on the estate. Guests feeling particularly genteel can try their hands at a spot of clay-pigeon shooting. Other outdoor activities like pétanque, croquet, tennis, fishing, horseback riding and hiking can all also be done on the property, while visits to nearby farms offer opportunities to taste the best of Normandy’s local produce at its source. Château de Canisy is located 3.5 hours by car and 2.5 hours by train from Paris. Please contact CustomerService@TabletHotels.com for more information or assistance with transfers.